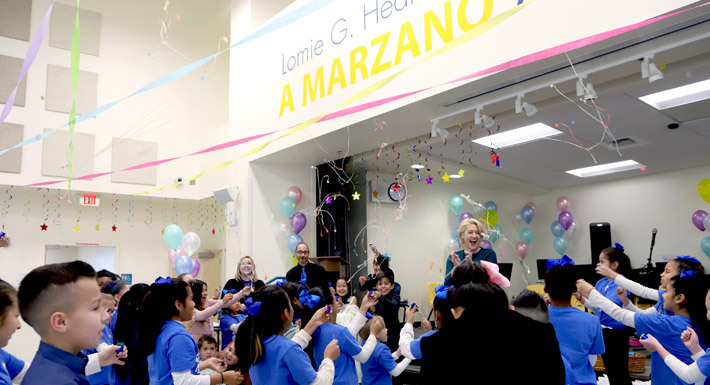 A dedication ceremony was held Jan. 22 for Lomie G. Heard Elementary School, a Marzano Academy. The original Lomie G. Heard Elementary School closed at the end of the 2015-16 school year. The new Lomie G. Heard Elementary School opened in the fall of 2017, as a Magnet S.T.E.A.M. (Science, Technology, Engineering, and Mathematics) school. The event included a celebration of what would have been Lomie G. Heard’s 113th birthday.